Chip Somodevilla/Getty ImagesU.S. President Barack Obama addresses the Chief of Missions Conference in the Dean Acheson Auditorium at the Harry S Truman State Department building March 14, 2016 in Washington, DC. If you’re an investor, there are a lot of people to thank for the second-longest bull market run in history. 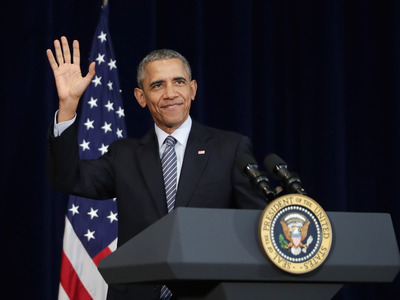 Perhaps after mentioning people like Federal Reserve Chair Janet Yellen and S&P 500 CEOs for the support, it would be wise to bring up someone a little more unexpected: President Obama. In fact, as far as presidents go, he’s been one of the most successful in modern history in supporting the growth of the market according to Bespoke Investment Group. “The reality, though, is that the stock market has done exceptionally well under President Obama,” wrote Bespoke in a note out Thursday. Let’s be clear, it’s not as if a president can pull a lever and make the stock market go up, and there are certainly many other factors at play in the rise in stock prices over the last seven years. 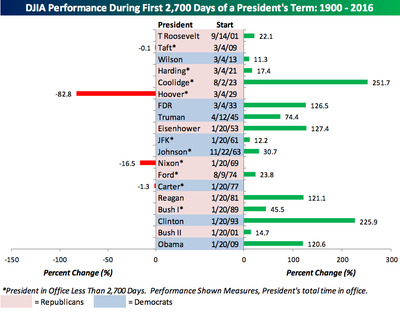 But, presidential policies do have an impact on the economy, which in turn matters for stocks. So in a roundabout way (at most), a president has some influence over the market. 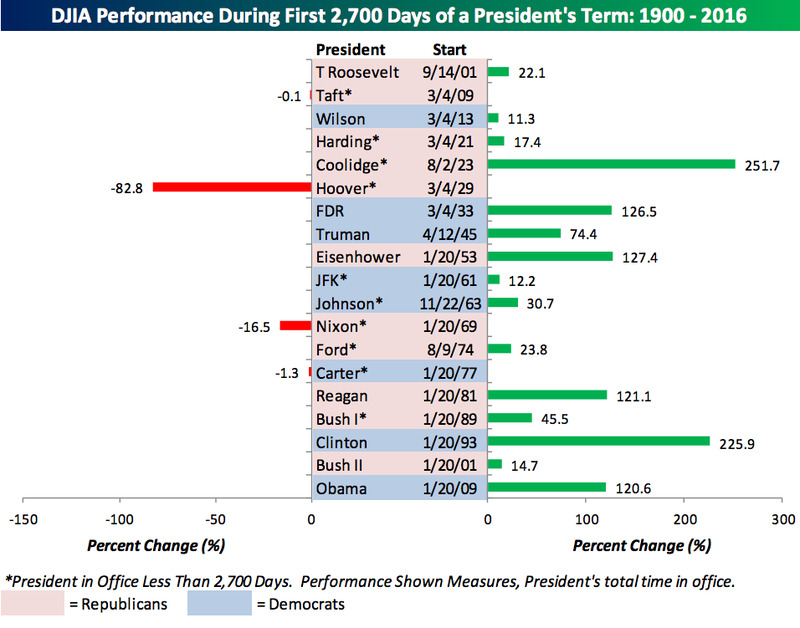 “Looking at the way things stand, by the end of his entire tenure in office, President Obama could conceivably surpass Reagan and Eisenhower in terms of returns and finish in the top four for his entire time in office,” said the note.